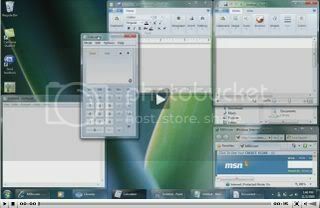 Shake up Windows 7, with Aero Shake ! Thread: Shake up Windows 7, with Aero Shake ! One incredible NEW feature of the Windows 7 UI that wasn’t demoed or even talked about last week at PDC 2008 is called “Aero Shake” - the same feature that led Rafael on an epic journey to unravel the secrets of build 6801 super bar. What Aero Shake does is allows you to shake your application windows furiously, to quickly minimize all other windows, at the same time experiencing a seizure in your hand. It’s a pretty cool feature. Watch the video on istartedsomething. You must have come across Aero Snap, well, here is Aero Shake too.